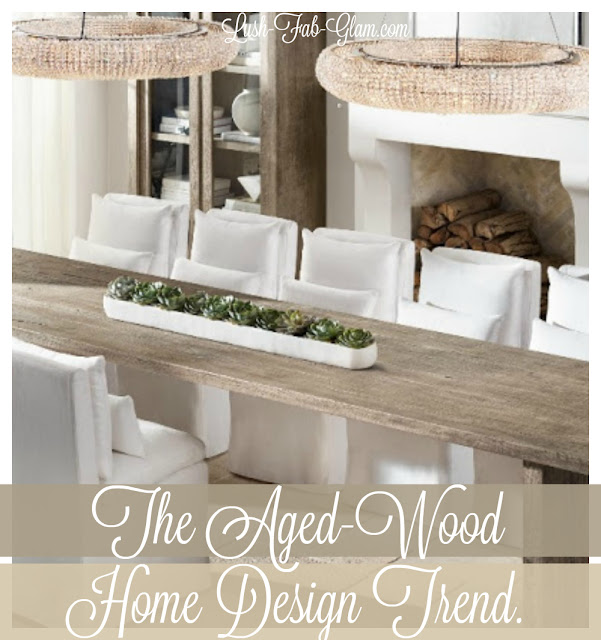 The Fabulous Aged-Wood Home Design Trend. 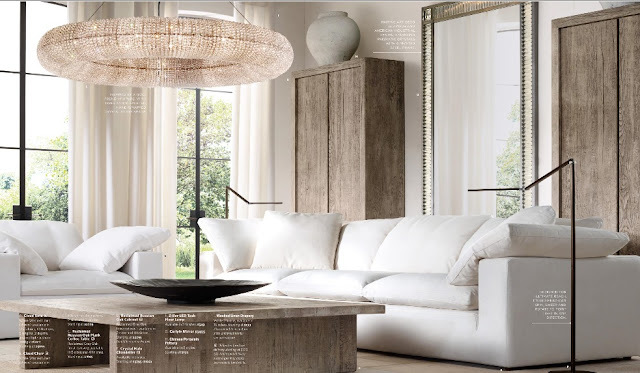 We get goose bumps when browsing through the Restoration Hardware Catalog that features their vintage furniture, lighting, home accessories and more all styled to perfection! 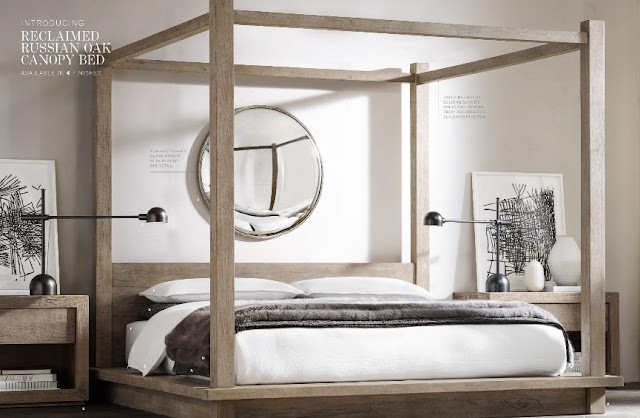 Our latest crush has been on the aged-wood furniture design trend, which are made from reclaimed wood. 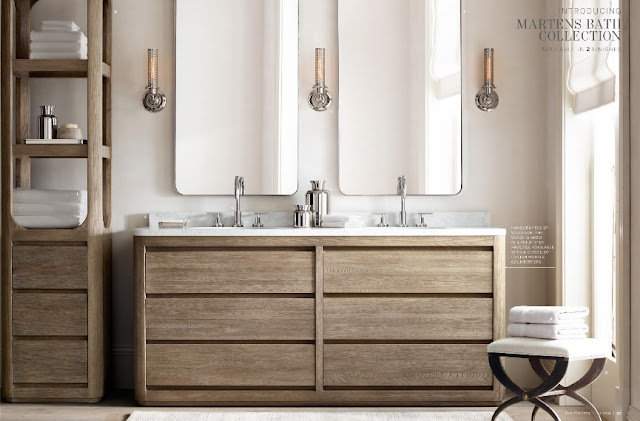 The look is versatile and fits with every design style and it adds character to any space. Fab Tip: Light sanding, chalk paint and a water-based stain can be applied to your own furniture pieces to give them a rustic, aged-with-grace look, that adds charm and character to the spaces that they are placed in. 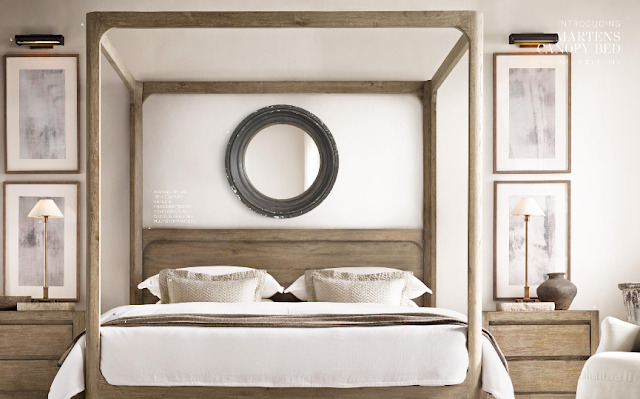 Are you a fan of the aged/ reclaimed wood design trend and what do you think of the decor styles featured above? Share with us by leaving a comment below. I absolutely love aged wood!!! It is so chic and beautiful! TY for sharing this and love the pics!!! I love it it's so beautiful and fresh looking! I'm a sucker for aged wood and I always keep looking for one since I run a food blog. These looks are so fabulous! Love the look of reclaimed wood/barn boards. I also love the ship lap that's found in the walls of many older homes. The potential with these kinds of lumber is endless. Wow this looks nicer than it sounds. I love a modern interior and this would fit in perfectly. I am absolutely loving this design and look/feel. I have bookmarked it as we are thinking of redoing our living / kitchen space and this is what I am looking for! I love this styling. I am terrible with white though, it'd be dirty in no time. I have never even considered aged wood, but it looks absolutely superb. Very modern, yet with an old feel to it. 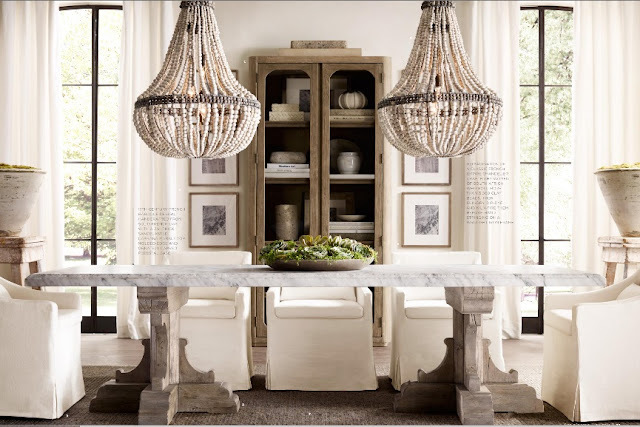 Those are gorgeous furnishings, I love aged wood. It adds class to any house. Aged wood would be perfect either in the kitchen or the dining room for me. 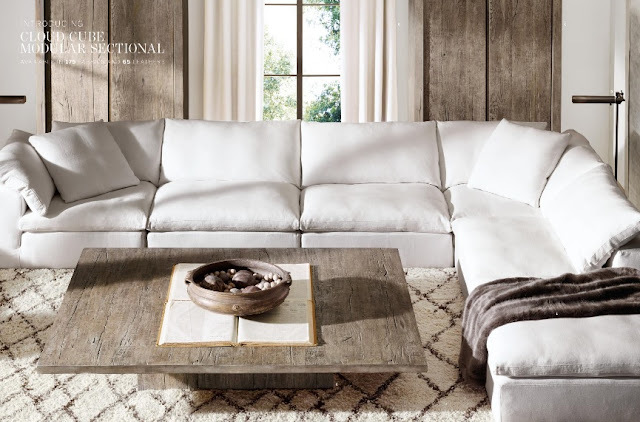 That rustic look just makes any room feel more cozy! I love the aged, distressed wood look. It's rustic and warm and has a cozy vibe to it. Oh how beautiful is aged wood! It's rustic and it's also french country! I love it! 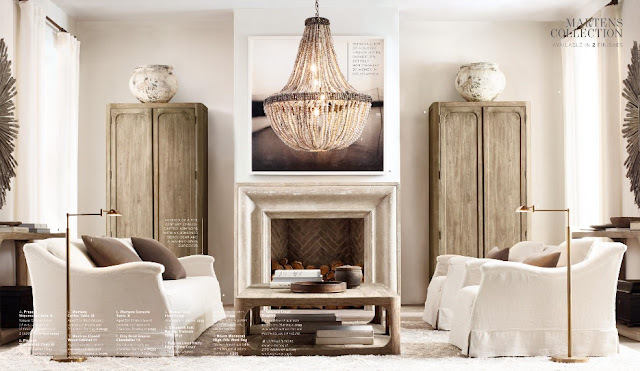 These design inspirations make me want to renovate and have aged wood all over the house! Love it! 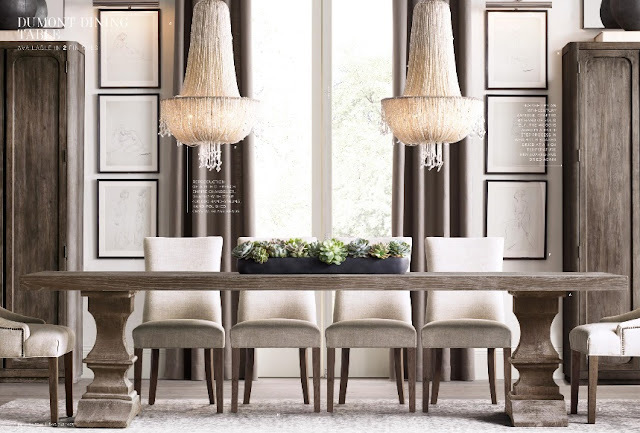 Rustic yet elegant! love it! I want something like that when finally I will have my house! Omg so chic!!! I just say I love this trend!!! 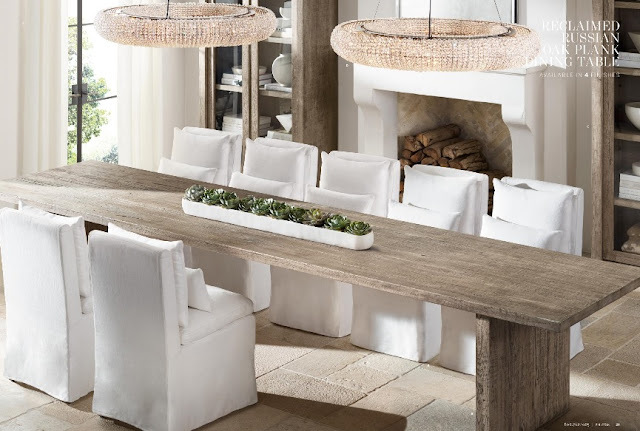 I love decor with aged wood and white. It's so bright and natural. Just my style. I actually really like the decor. I never even thought about aged wood. Ooh, very pretty! Something about this style makes me think of beach houses! I love how these pieces look!!! I have always loved this style of furniture! I want all these home design for my house. They all look fabulous! Didn't know that aged wood could be so contemporary! Love these. Classic clean elegance. My favorite kinds of looks!